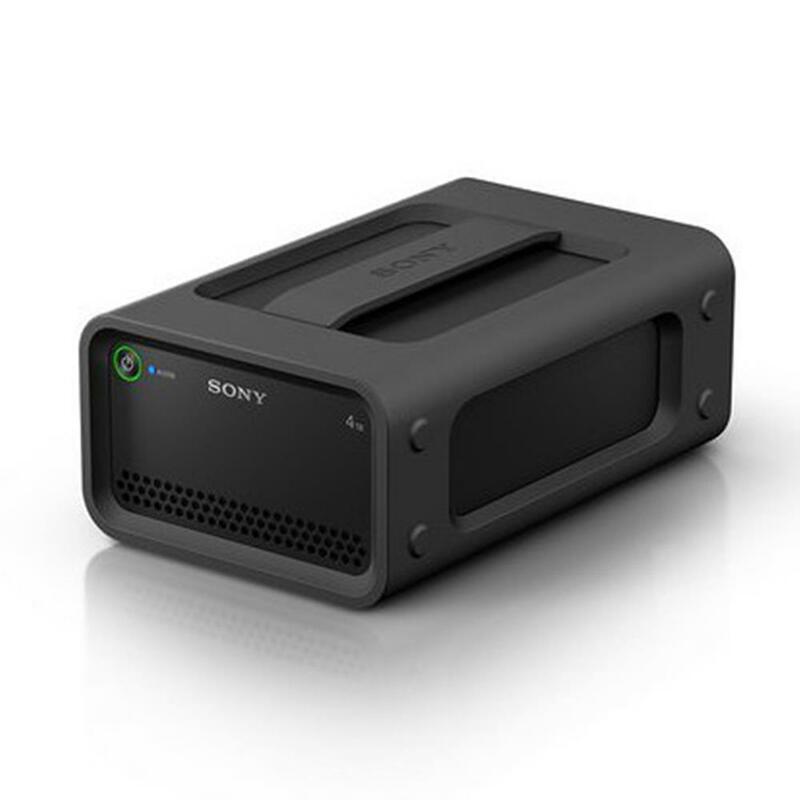 The PSZ-RA4T is an ultra-fast portable RAID storage unit that greatly reduces transfer times and contributes to an efficient 4K workflow. Transfer speeds of up to 440MB/s, reducing the transfer times of 4K video files to one third current transfer times. The robust and shock-resistant design with built-in handle ensures safe and reliable storage in the field. The unit provides both USB 3.0 and Thunderbolt 2 connections support both PC Windows and Mac operations. Internal and external damper function protects the RAID storage in the field. Shock-resistance of MIL 20G/11ms (in operating mode), 50Gms/11ms (in non-operating mode). * The unit offers good vibration resistance for operating in a running car, realized with rubber dampers. A built-in handle provides easy portability. * Based on Sony testing according to MIL-STD-810F, Method 516.5. NOTE: Sony cannot guarantee against damage to recorded data or the exterior case in all situations and conditions. Transfer speeds of up to 440MB/s greatly reduces transfer times and contributes to an efficient 4K workflow. When transferring video files total up to 1TB, 150 minutes reduces to 50 minutes*, one third of current transfer time* when using SxS PRO+ memory card (SBP-256D), SxS Reader Writer (SBAC-US30) and PSZ-RA6T (All Sold Separately). Memory Media Utility dedicated PC software for Sony memory media products (available from download) provides enhanced media management. It allows you to see device information such as remaining capacity, file system, RAID mode, as well as check the disk status to know optimum replacement time, and to reformat for quick data erasure and before re-use. 4TB storage, enough for transferring all video files for one-day shooting in the field. Hardware RAID0, RAID1, or JBOD all supported. The RAID storage unit works with the large-capacity SxS PRO+ D Series memory cards providing users with a high-speed data transfer solution. The unit is provided with a tough, easy-to-carry carton box that protects the product against damage during transporting.